This year we celebrate the 30th anniversary of the World Soccer Awards. The first World Player of the Year award was made in 1982, along with prizes for the World Manager and World Team of the year. The World Player award is now the longest-running award of its kind in the world game. FIFA’s award, which has now been merged with France Football’s Ballon d’Or, was first given out in 1990. 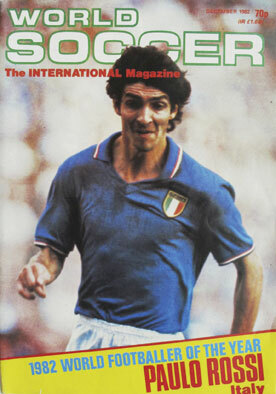 Paolo Rossi was the first winner of World Soccer’s World Player award in 1982, and he has since been succeeded by an illustrious list of the biggest names in the world game. Last year Lionel Messi won the award for a second time, having previously triumphed in 2009, and he is now bidding to become only the second man to collect three World Players titles, after Ronaldo (1996, 1997 and 2002). Fellow two-time winners are Michel Platini (1984 and 1985), Ruud Gullit (1987 and 1989), Marco Van Basten (1988 and 1992) and Ronaldinho (2004 and 2005). 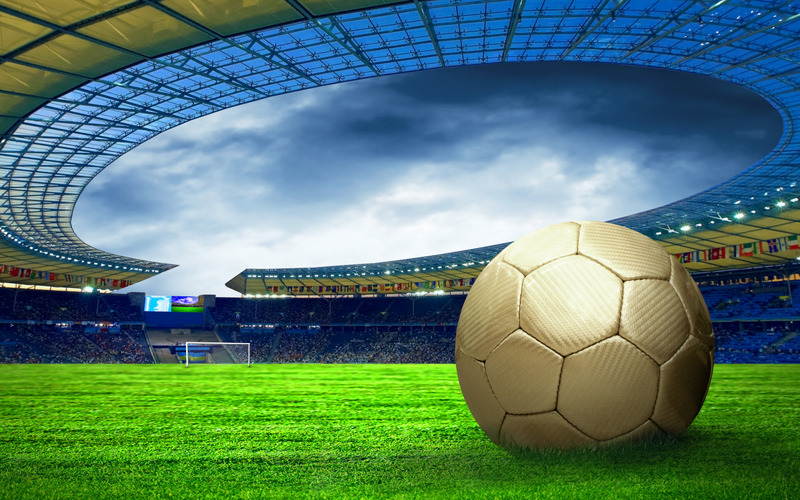 For 30 years, World Soccer readers have decided the winners of our annual poll. This year we will also be asking a panel of journalists, pundits and World Soccer correspondents to contribute their votes – as well as select a World Xl, by position, from the past year. The results will be revealed in our January 2013 edition, published in mid-December. We have produced a shortlist of 10 for each category. Please vote by clicking here, naming your World Player, Team and Coach of the Year. Didier Drogba: Chelsea/Shanghai Shenhua & Ivory Coast. Scorer of the equalising goal and winning penalty in the Champions League Final. Radamel Falcao: Atletico Madrid & Colombia. Hero of the Europa League Final for the second year running. Eden Hazard: Lille/Chelsea & Belgium. Another great season in the French league before a high-profile move to Stamford Bridge. Andres Iniesta: Barcelona & Spain. Brilliant for Euro winners Spain, he won UEFA’s award for the Best European Player of 2012. Lionel Messi: Barcelona & Argentina. A phenomenal scoring record last season, with 73 goals in 60 club appearances, winning the ESM Golden Shoe. The youngster continued to wow crowds in Brazil and is the central figure for the national team with 2014 on the horizon. Andrea Pirlo: Juventus & Italy. Discarded by Milan but proved he is still a brilliant orchestrator for club and country. Cristiano Ronaldo: Real Madrid & Portugal. His goals fired his club to the Spanish league title for the first time in four years. Yaya Toure: Manchester City & Ivory Coast. The driving force in his club’s Premier League title success. Another brilliant year for the magical midfielder who was World Soccer’s 2010 World Player. “El Loco” had a dramatic effect in his first season with Bilbao, reaching the Spanish Cup and Europa League Finals. Low-key but highly effective in sustaining Spain’s run of success, winning the European Championship to add to the 2010 World Cup. Brought in as a stopgap replacement for Andre Villas-Boas, his safety-first tactics secured Chelsea their first Champions League. The former French federation youth coach steered the Ligue 1 outsiders to a surprise French title success. His young side claimed a second successive Bundesliga title with more vibrant, attacking football. “The Special One” oversaw his club’s record-breaking, title-winning season in the Spanish league. The little-known Frenchman guided the unfancied Zambians to victory in the African Nations Cup. The former Atletico midfielder returned to the club as coach and within months was celebrating Europa League success. A key figure in his federation’s coaching set-up, he guided Mexico to Olympic gold-medal success at London 2012. The much-travelled Brazilian took Corinthians to their first-ever success in the Libertadores Cup. Won their second Europa League title in three years after victory in the all-Spanish Final. The Ruhr side confirmed their status as Germany’s dominant club with a domestic double. They may not have been pretty, but exciting victories over Napoli, Barcelona and Bayern Munich ensured a first Champions League success. The Brazilians became South American club champions for the first time with victory in the Libertadores Cup. Italy’s most successful club returned to the summit of Serie A following an undefeated league season. Beat favourites Brazil in the London Olympic 2012 Final to continue their impressive run of form at youth and under-23 level. The outsiders saw off the challenge of big-spending Paris Saint-Germain to win a first French league title. Hailed as one of the greatest teams of all time following their Euro 2012 victory – their third successive tournament win. The Chileans won the Sudamericana Cup with some thrilling, attacking football. Defied the odds and beat favourites Senegal, Ghana and Ivory Coast to win the African Nations Cup – 20 years after the national squad was wiped out in a plane crash. Voting has now closed. 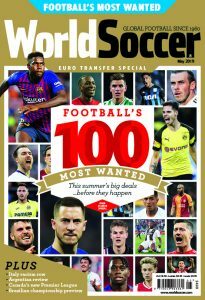 The results of this year’s poll will be published in the January 2013 issue of World Soccer (on sale: December 14, 2012).